JMF Disco offers an experienced Wedding DJ in Canterbury to help with your special day. JMF Disco is owned and presented by DJ John Padmore, a reliable, experienced Wedding DJ in Canterbury. My aim is to provide you with all the help you need, from your initial phone call to seeing your happy guests leaving after a wonderful nights entertainment, at your perfect reception provided by your Wedding DJ Canterbury. Call or email JMF Disco for your Wedding DJ Canterbury to find out how I can help you. Have a look at the Weddings page for more details of the Wedding DJ Canterbury service I offer and call me to discuss how I can help make your evening very special. Contact Wedding DJ Canterbury on Tel 01795 429777, Mobile 07895 546183 or by email to discuss your Wedding DJ needs or questions. Located in the beautiful Kent countryside just outside of Canterbury, Marleybrook House is a beautiful 'chocolate box picture' thatched farmhouse, set in 5 acres of landscaped gardens. The venue is licensed for weddings and provides a large marquee for your wedding breakfast and wedding reception entertainment. North Court Wedding Venue provides a marquee wedding venue set in the beautiful Kent country side providing a range of options for small intimate affairs up to 350 guests for wedding receptions, open days and corporate events. St Edmund’s Canterbury is an exclusive private venue, featuring unique panoramic views over the famous city and Cathedral, offering great facilities for weddings, corporate functions and private hire. JMF Disco provides wonderful wedding discos throughout the Canterbury area including Adisham, Barham, Bekesbourne, Beltinge, Bishopsbourne, Blean, Bossingham, Boyden Gate, Bramling, Bridge, Broad Oak, Broomfield, Chartham, Chestfield, Chislet, Eddington, Fordwich, Grays, Hackington, Harbledown, Hawthorn Corner, Herne, Herne Bay, Hersden, Hillborough, Hoath, Ickham, Kingston, Littlebourne, Lower Hardres, Marshside, Nackington, Patrixbourne, Petham, Pett Bottom, Reculver, Rough Common, Stuppington, Sturry, Swalecliffe, Tankerton, Thanington Without, Tyler Hill, Upper Harbledown, Upper Hardres, Upstreet, Waltham, Westbere, Whitstable, Wickhambreaux, Wincheap, Womenswold, Woolage Green, Woolage Village, Yorkletts and throughout the adjoining districts of Sittingbourne, Ashford, Folkestone, Dover and Thanet. 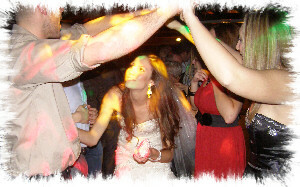 - I'm sure I can provide you with the Wedding DJ in Canterbury you really want!